My love of interesting Japanese watches is greatly enhanced by my love of Japanese anime and related Japanese pop culture. Many people who design Japanese watches are likewise influenced by such media, so it is inevitable that once in a while the brass at the top will allow them to release watches with a techno-cool vibe from a very well established brand such as Citizen. This watch will likely never see the light of day officially in the US, but it is going to be offered as a limited edition of 500 pieces (250 pieces of each style) in Japan (and maybe a few places around there). Price is pretty high for a Citizen watch, but within Campanola standards though. The inevitable comparison people are going to make to a watch like this (especially the white and black one) is to Star Wars (storm troopers). That is the easy answer, and unfair given that the watch is Japanese. I see it more as a statement on types of organic looking anime characters and robots that have more curves than sharp angles. The skeletonized/open dial is not only trendy, but a comparison to the exposed robotics and electronics that many beloved anime mechanical creations are known to exhibit, from time to time. 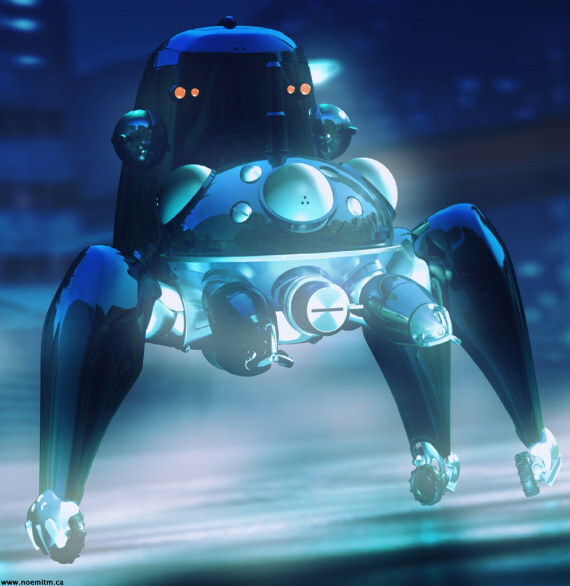 For comic style technologists, it isn’t just the theme which is interesting, it is the plausible form that fantasy technology takes, which is so intriguing. 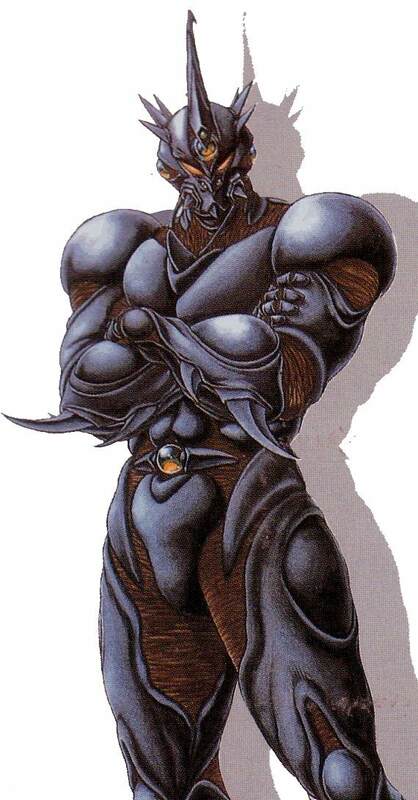 So to compliment the Citizen Eco-Dive Dome watch, I am placing an image of the Guyver, as well as robot character from Ghost in the Shell called Tachikoma. The Citizen Eco-Dive Dome started as a concept watch in 2009, and was green-lighted (ins slightly different form) for production in 2010. The first of the watches should be available when you read this, and come in reference number BY0030-04E ( in titanium with white “pearl” coating) and BY0039-00E (in titanium with black DLC coating). One thing I can’t say for sure is the exact size, but I believe it is 49mm wide. Big, but Japanese watches are getting bigger. Even domestically in Japan, young people like larger timepieces. While the dials are around, the cases are sort of tonneau shaped with a very interesting look to them. Fashionable, hi-tech, and futuristic all at the same time. In fact, being futuristic is a main goal of the Dome watch. From a technology standpoint, there is nothing new, just the audacity of the concept showings its face to challenge contemporary design. At its core, the Eco-Drive Dome watch has a Citizen light-powered Eco-Drive quartz movement that is atomic clock radio controlled (not sure how many bands, I would guess 5-6). Functions include the time, date, 1/5 of a second chronograph, alarm, world time indicator plus GMT time indication, and a power reserve indicator for the battery. The fun is all in the design and the case. Strap is a polyurethane black that is like rubber and uses a push-button butterfly clasp. Probably fine, but I hate straps like this where you have to physically cut it to size. 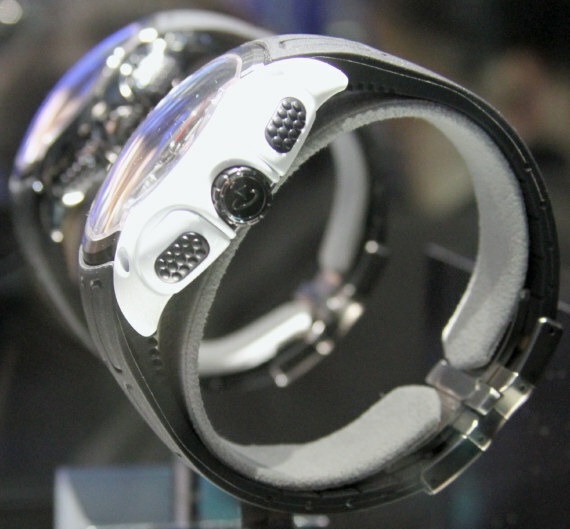 With a case in titanium, the Dome is flanked by black or white plates that are very slick looking. 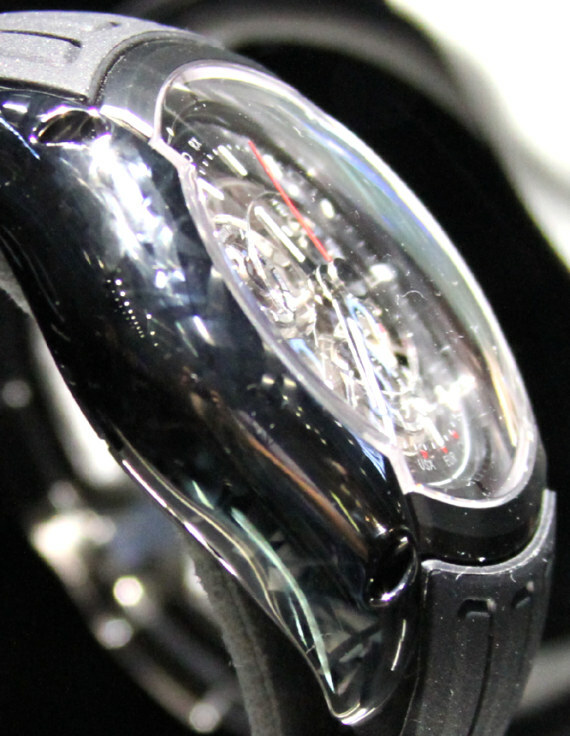 The black one is DLC coated titanium with a fascinating finish that looks like meteorite. Never seen anything like that. It glistens beautifully, and represents one of the most sophisticated DLC applications around. Each particular watch is said to have a slightly different look to it. The white model is also amazing. While not DLC, it has a 5 layer white coating that looks as pure as white enamel. Only here the multi-layer look glistens a bit and is called “pearl” to its shine and deep luster. Crystal is sapphire, and I believe there is more sapphire in the multi-layer dial, though I am not sure. Citizen calls the dial “mirror silver” in tone. Even will all that is going on, the large high-contrast hands and hour indicators make the Eco-Drive Dome easy to read. There is gonna be one of those “oohh… look at THAT watch,” timepieces in Japan. I am sure a few of them will reach our shores as well. I would totally wear one of these beauties. Price is up there, at close to $2,900 for each of the 500 pieces in this limited edition collection. Good to see more interesting stuff like this from Citizen and not sure Seiko. 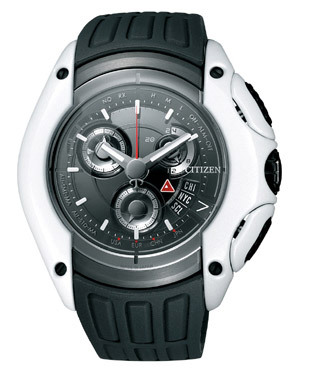 See Citizen watches on eBay here. 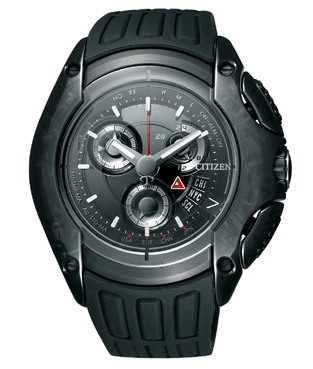 See Citizen watches on Amazon here. This piece IS cool, don’t get me wrong, but there is something very unsettling about the spaces that are visible between the chrono pushers and the case. Seems unfinished, and a trap for debris. Because I would obviously buy this watch and wear it while I roll around in the sand at the beach, dig around in my garden, and many other dirty endevours. It didn’t look the gaps were that open actually. My Japan Domestic Market Citizen Attesa “Direct Flight” ATD53-3011 using the same exact caliber H610/611 module as the Eco-Drive Dome watch, is a bargain at nearly USD $900 delivered from Japan. The H610 radio controlled movement is used in a number of Citizen watches, including the US market Chrono-Time AT series. Nice movement but I don’t see anything here that commands a USD $3,000 admission price. For that much money, I prefer a Citizen “The Citizen” Chronomaster (Also Japan market) with the A660 caliber super quartz and thermo compensated movement good for -/+ 5 secs per year and perpetual calendar. Actually, a basic Steel Chronomaster can be had for a tad under USD $2,000 delivered from Japan. Good points, but you underestimate the fervor of some who love limited edition high-tech Japanese watches. I’d think half the retail price for the Dome models would feel better from a market demand standpoint here in the US. I think the design is very unique and Citizen is using a very interest combination of materials. 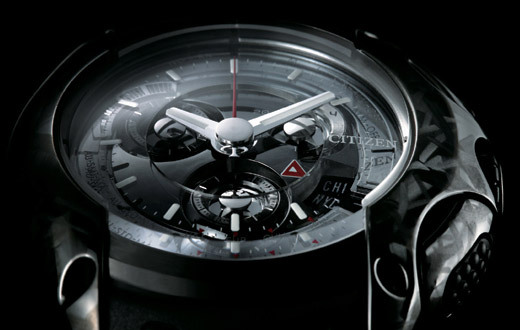 Being limited edition, Citizen is assured maximum return for each piece sold. I have been told, ADs in Japan will receive only 1-2 pieces maximum. I think the watch is really with good quality. 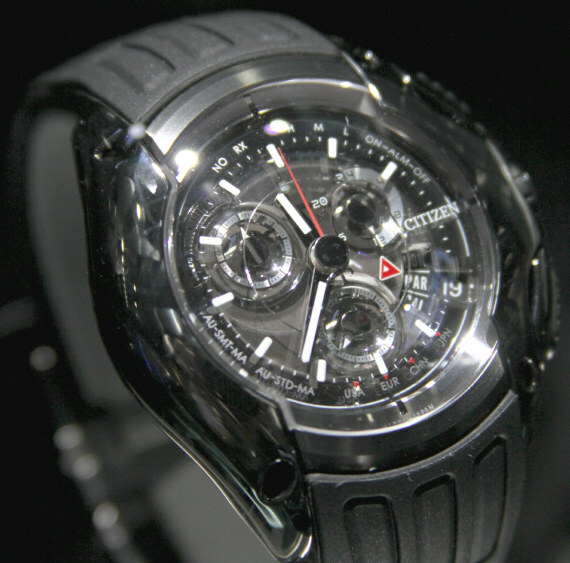 It is the citizen watch.And it is not cheap.I am dreaming of owing such attractive watch.